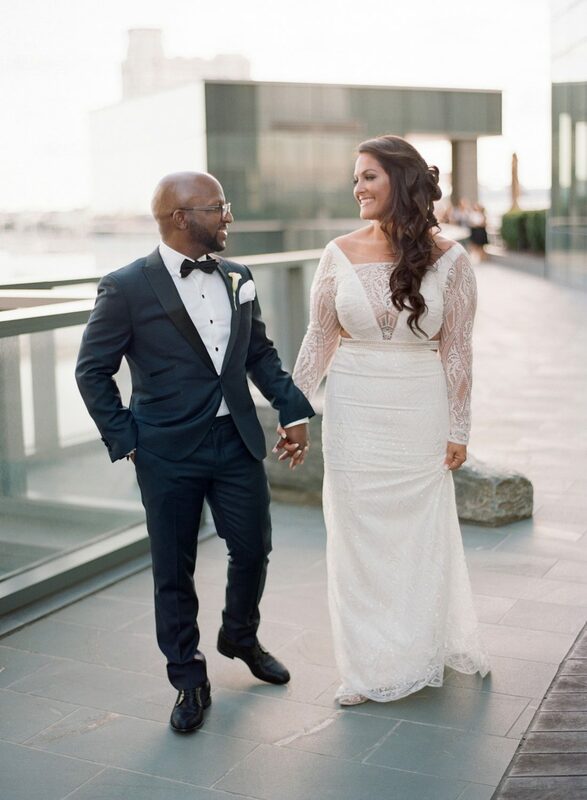 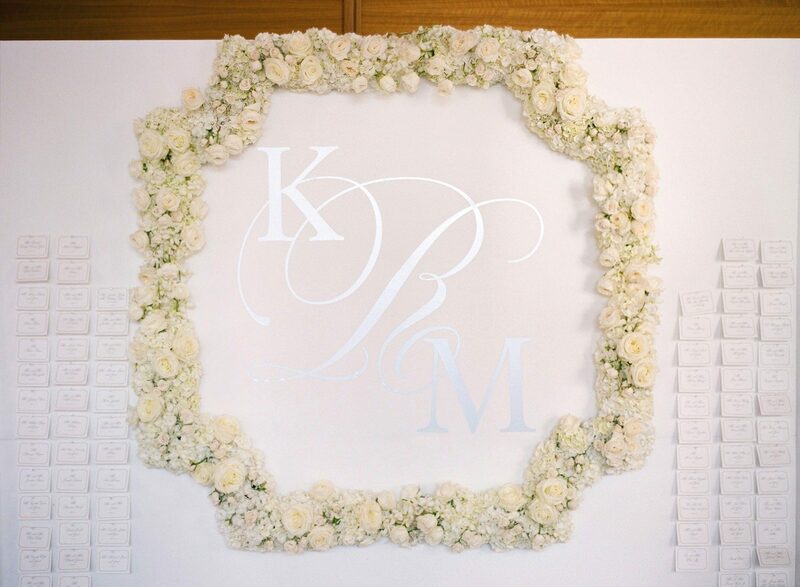 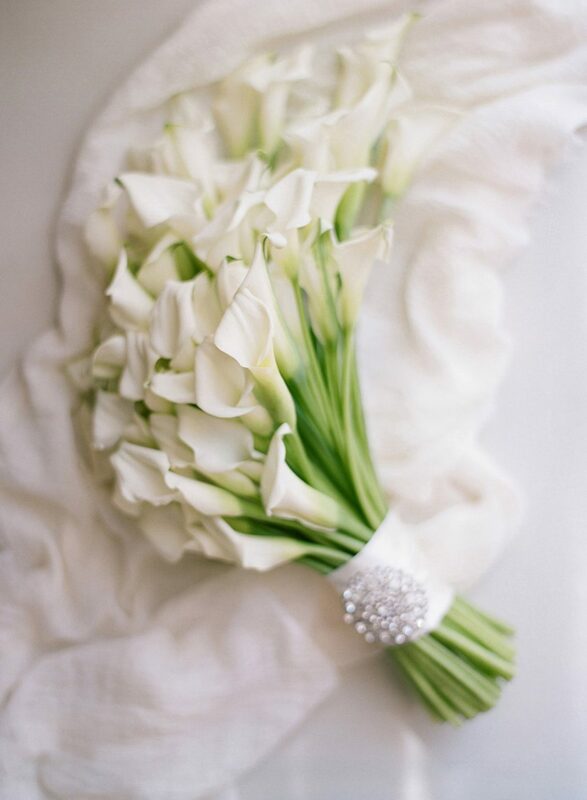 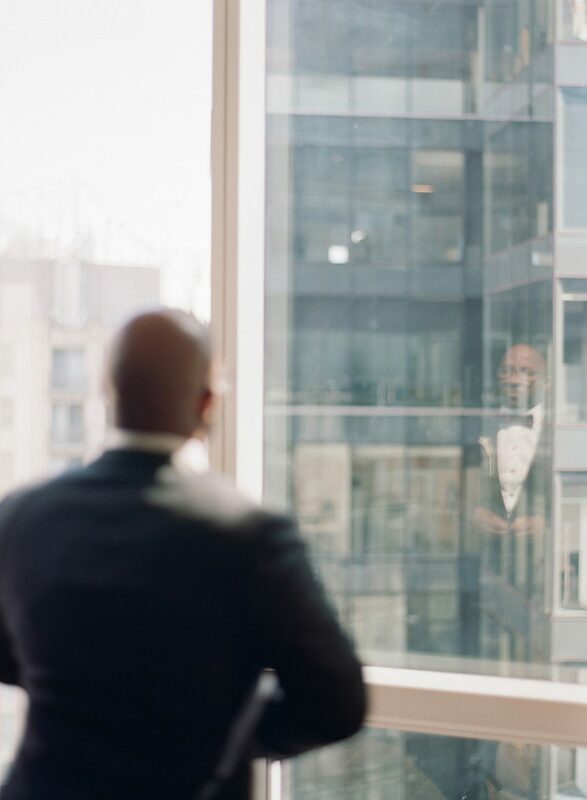 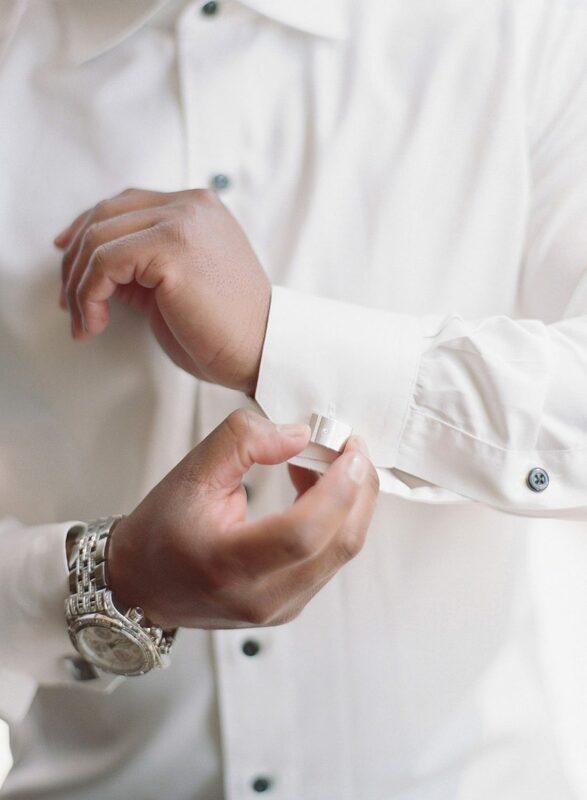 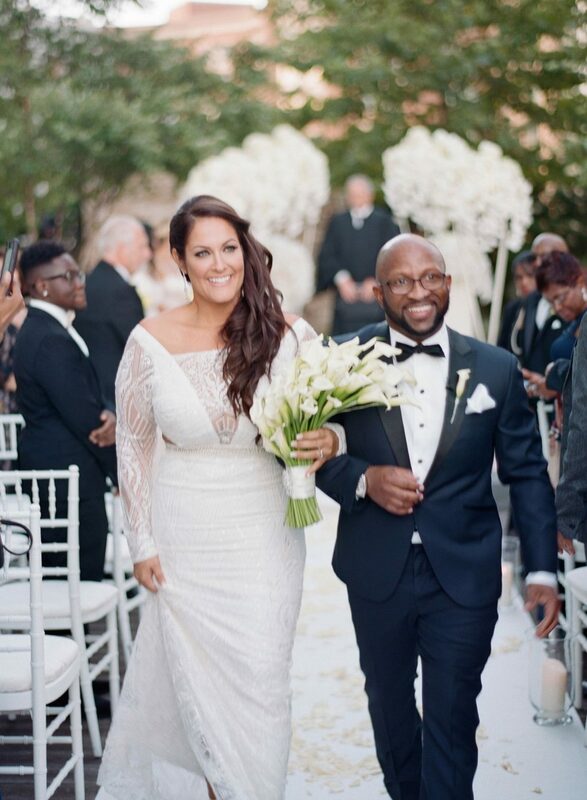 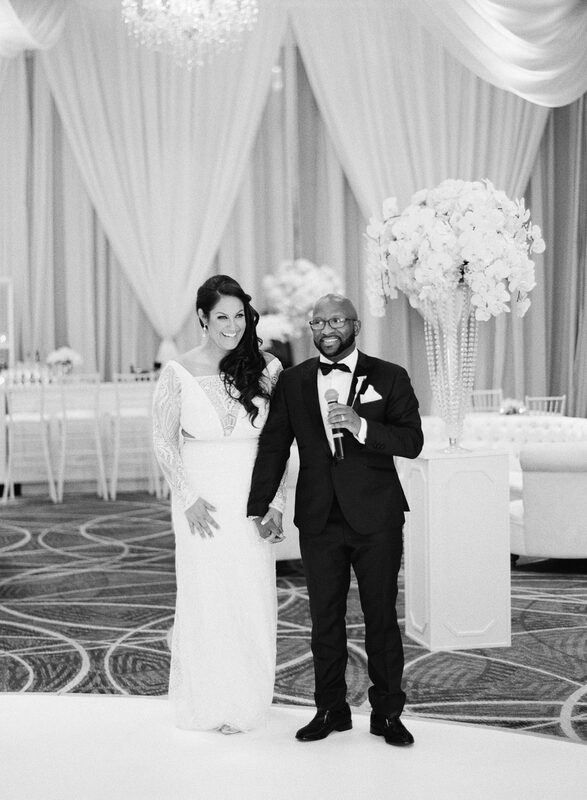 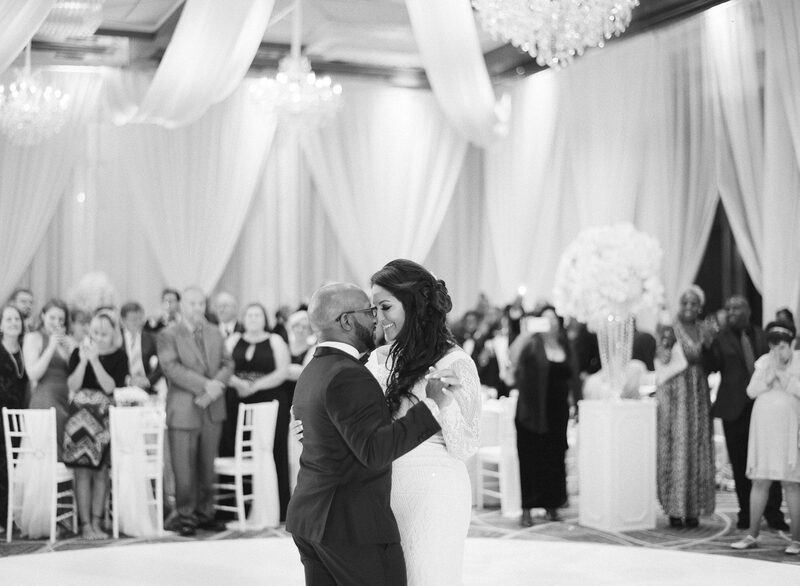 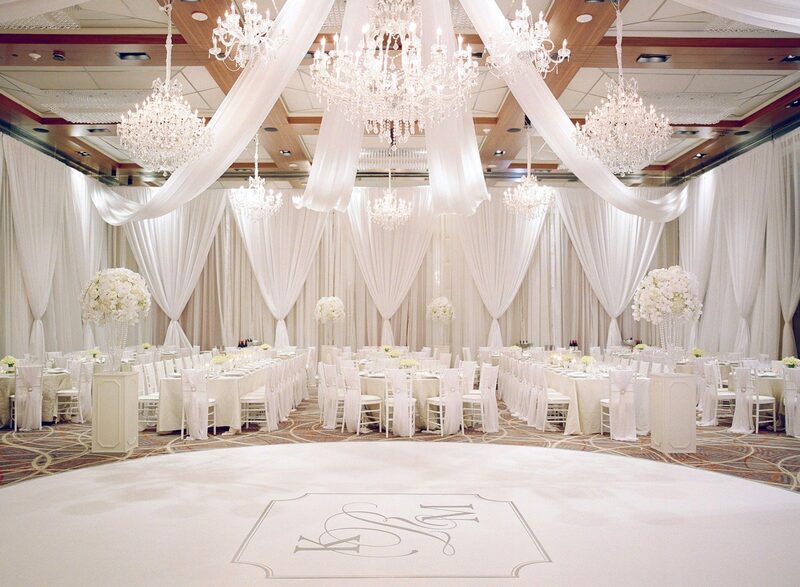 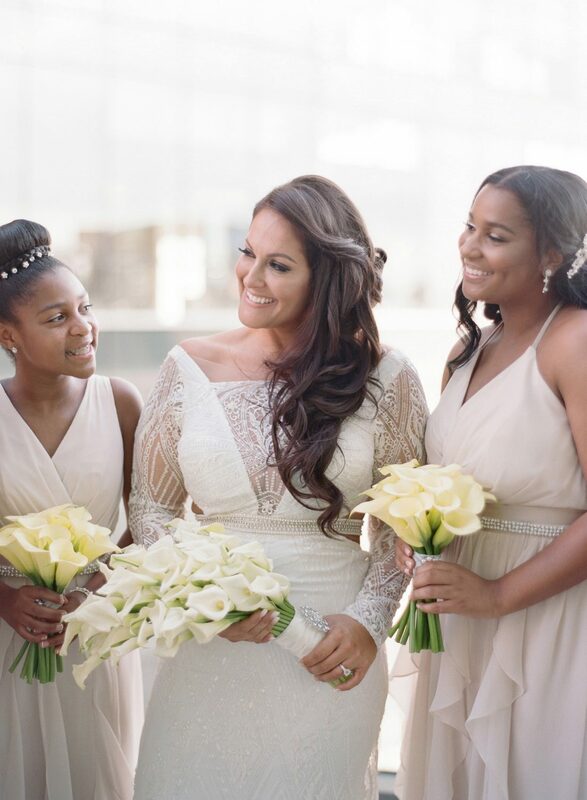 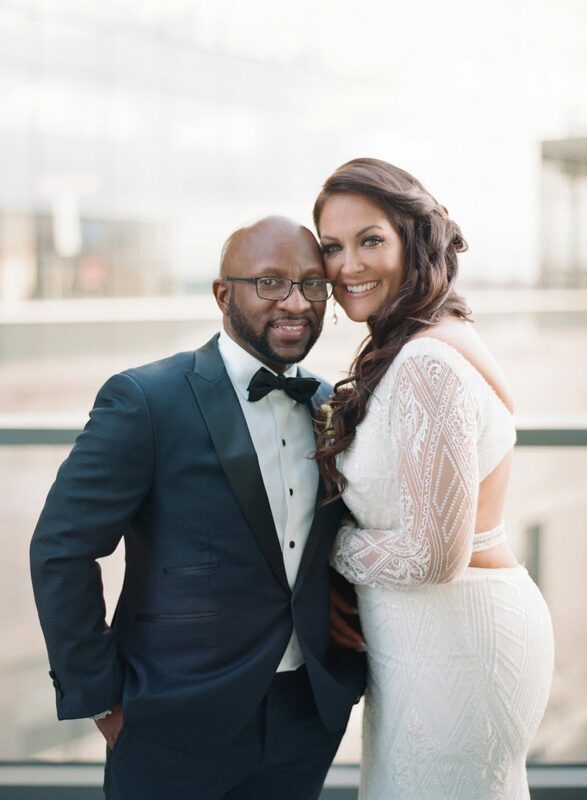 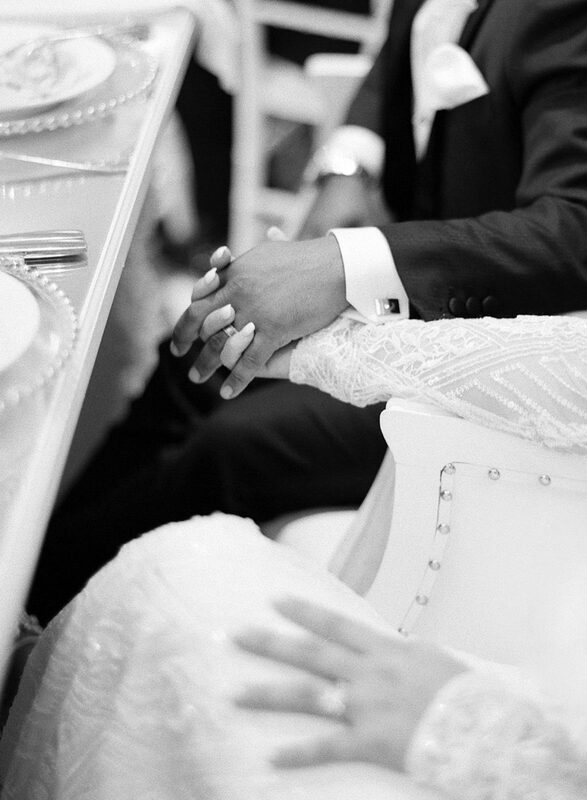 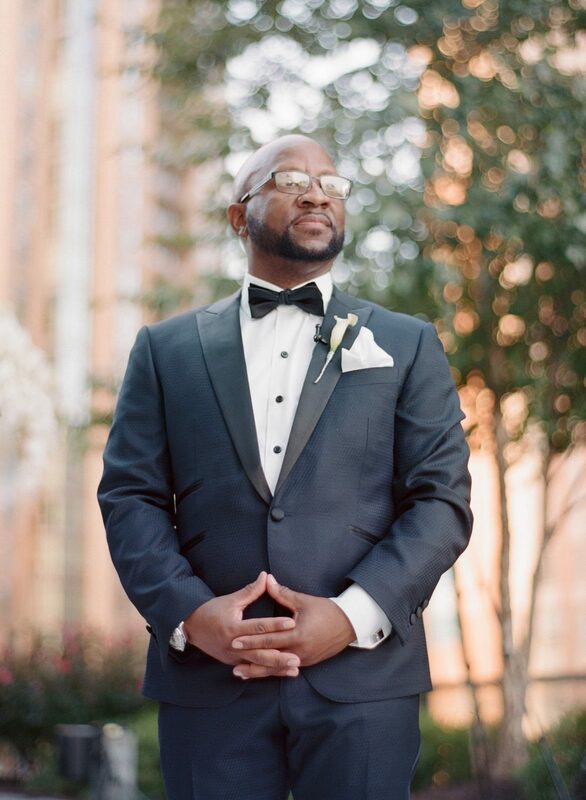 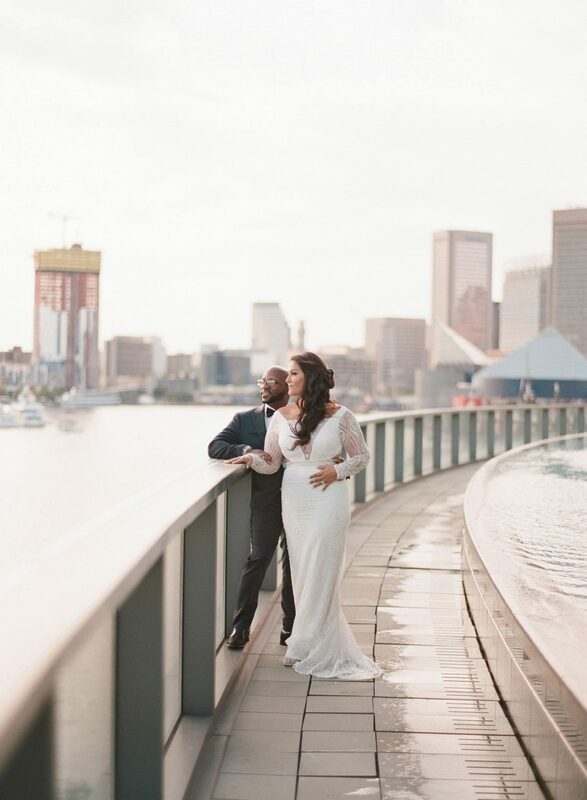 Kelly & Maurice’s white on white Four Seasons Baltimore wedding was elegant and classic, a true celebration fit for a king and queen. 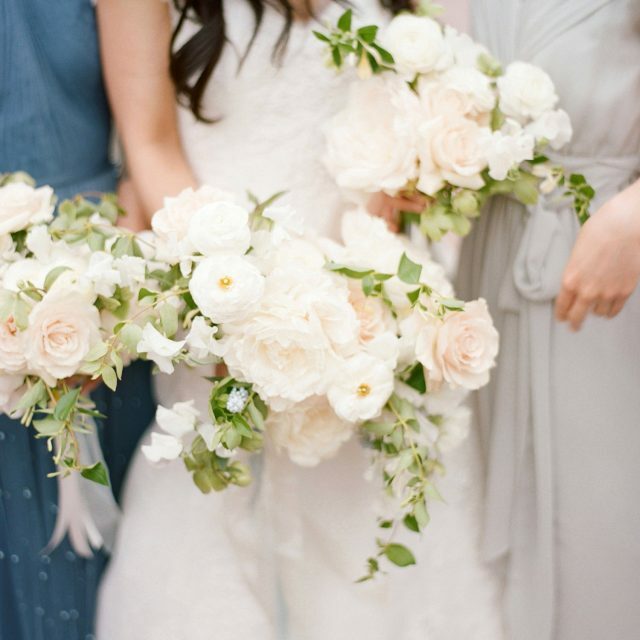 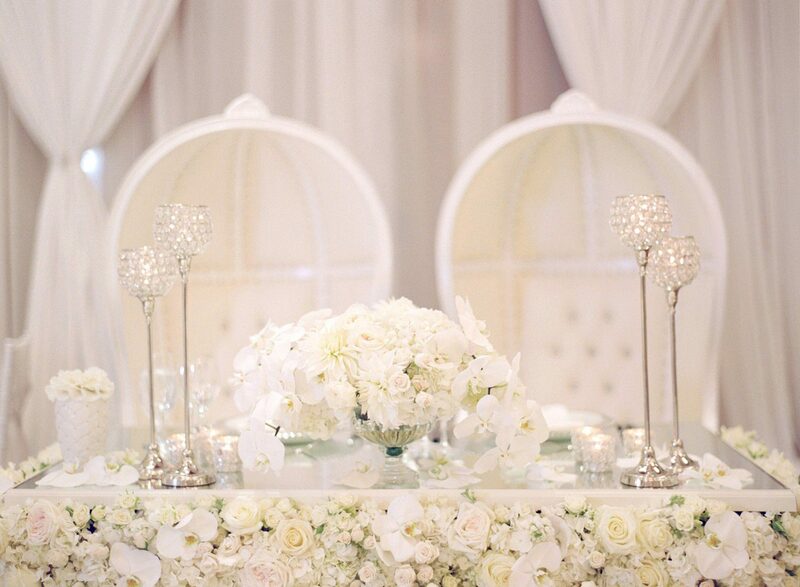 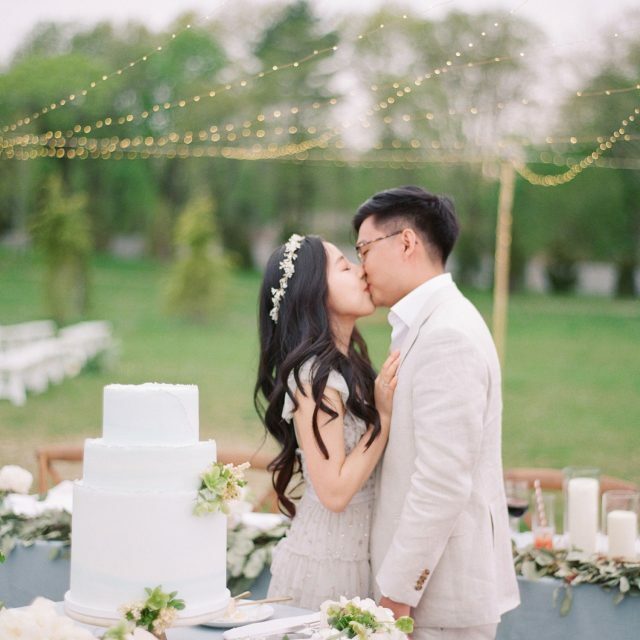 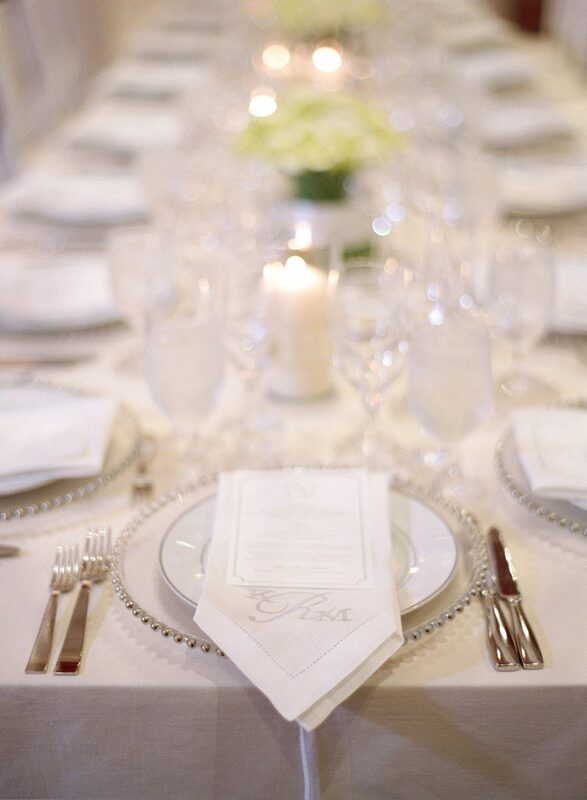 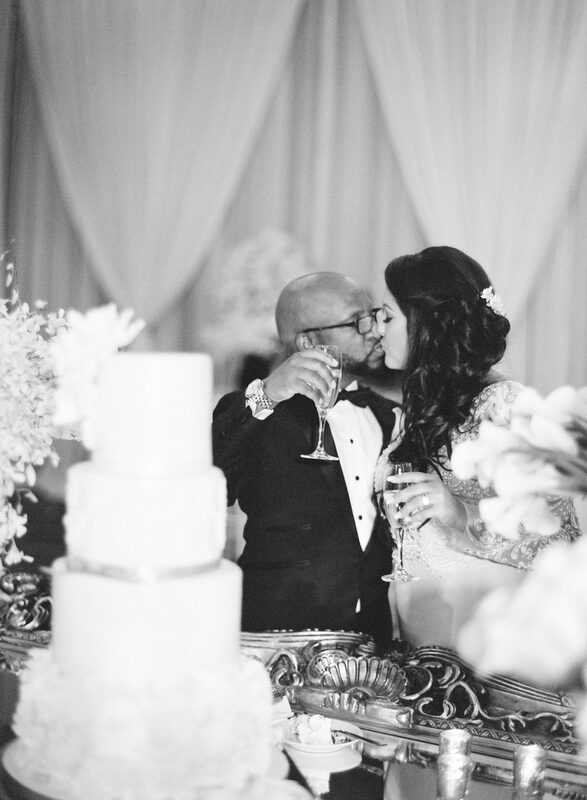 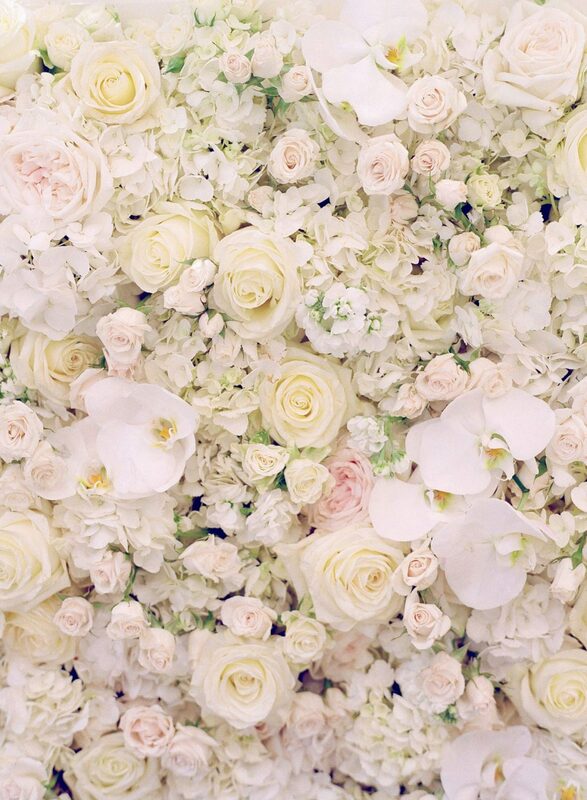 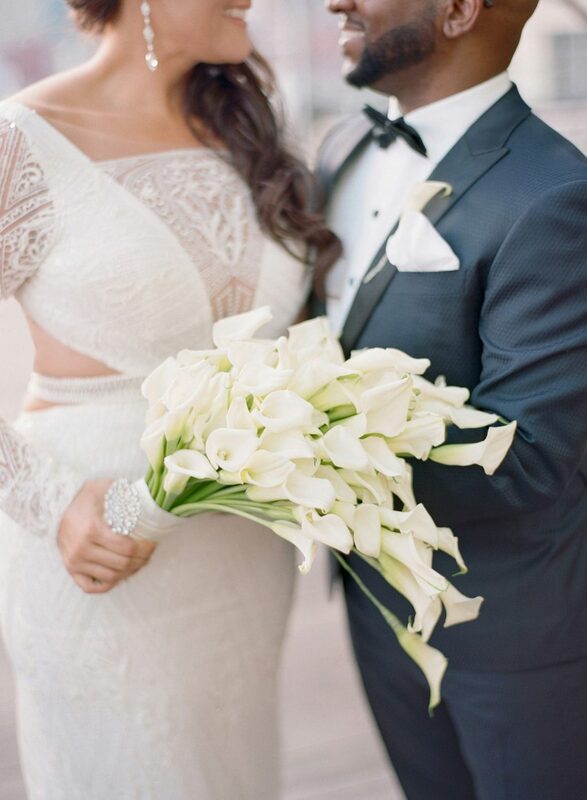 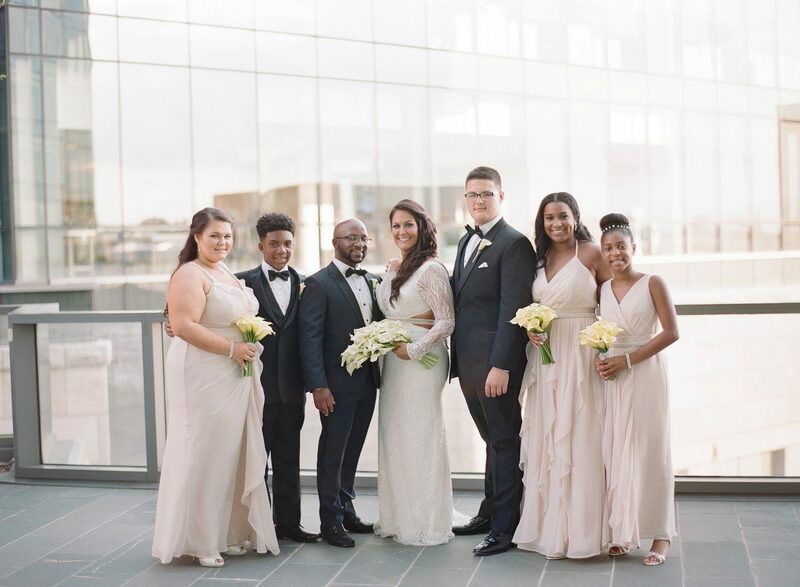 The couple dreamed of an elegant, black tie wedding full of whites florals, sparkling chandeliers, and metallic accents to wine and dine their guests and treat them to a truly unique evening. 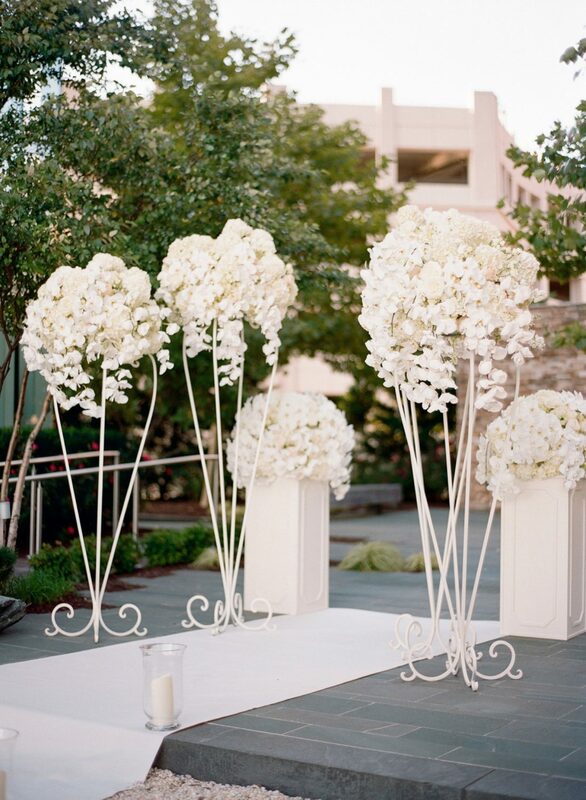 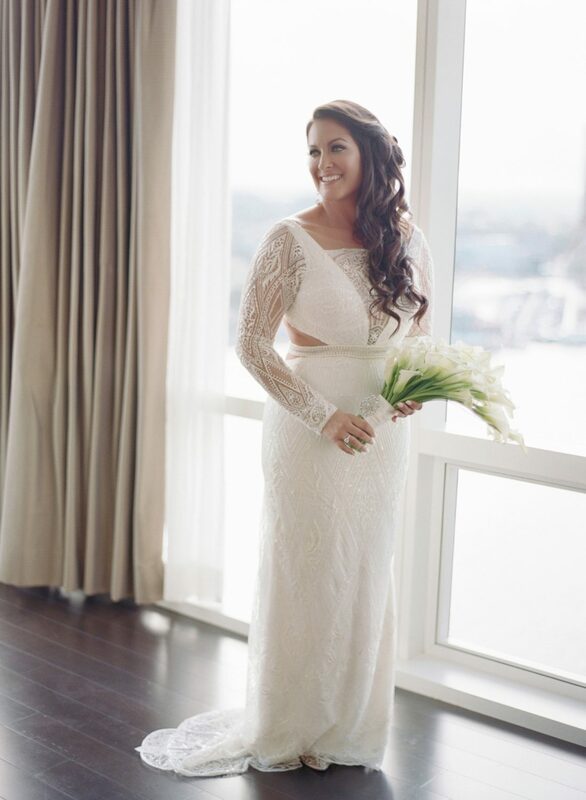 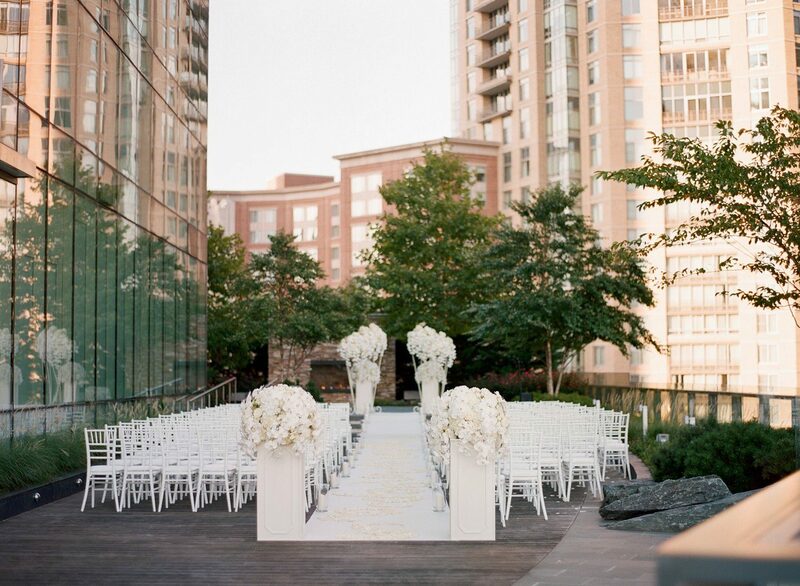 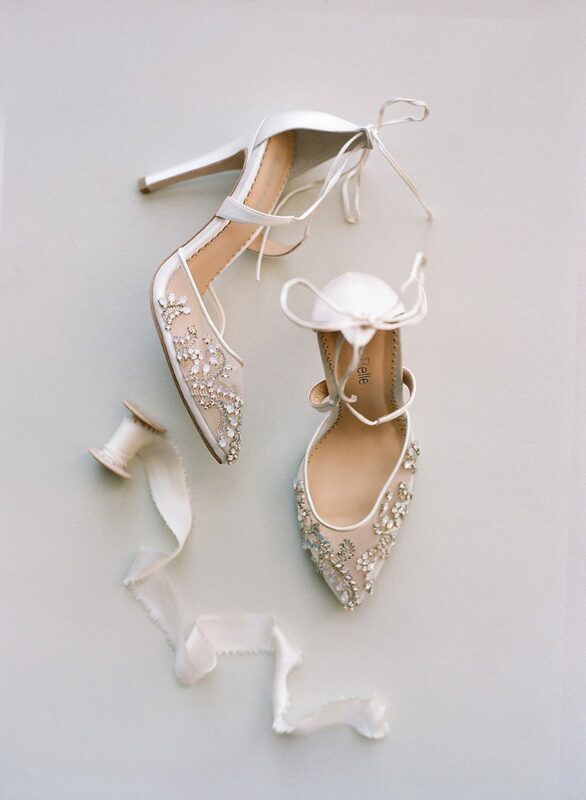 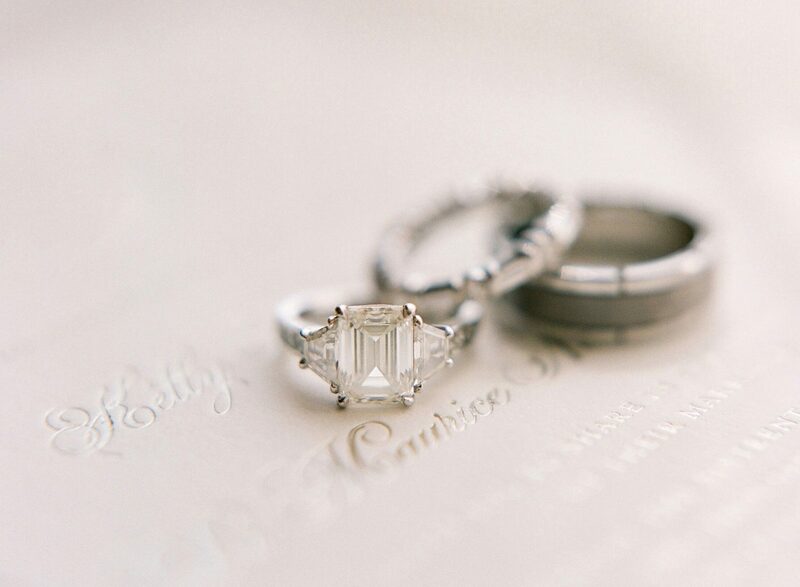 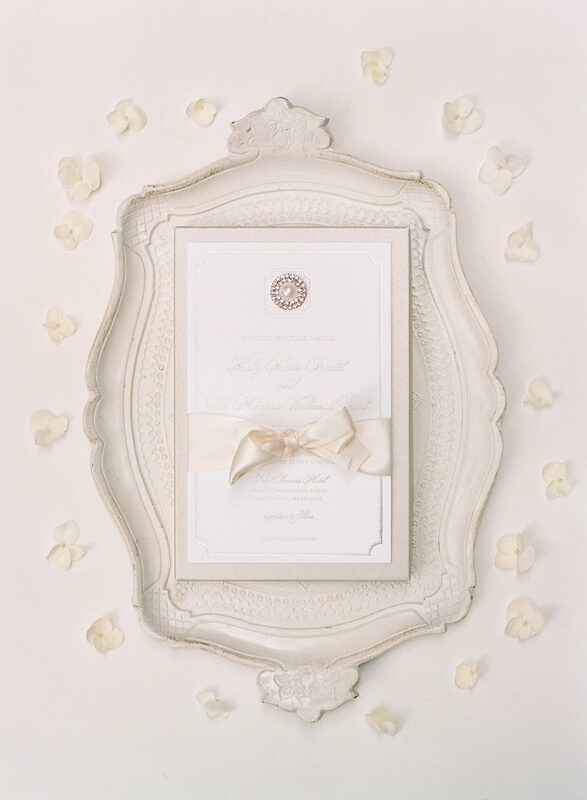 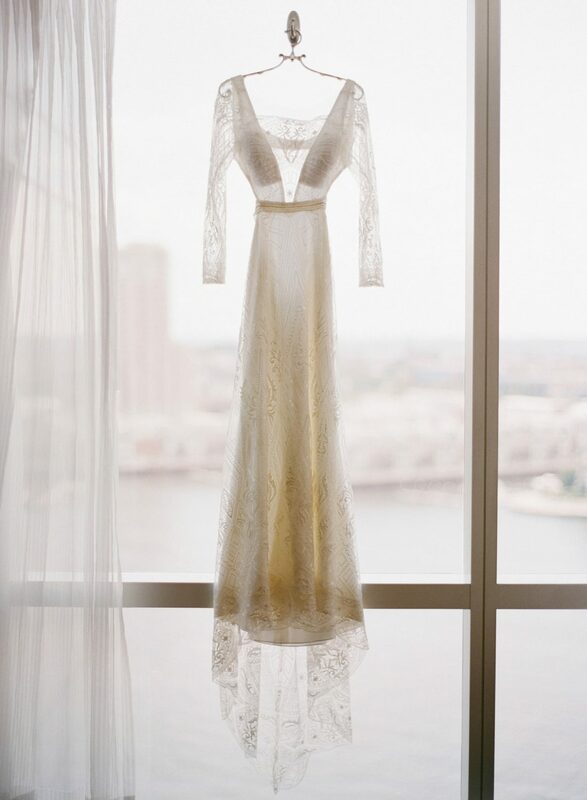 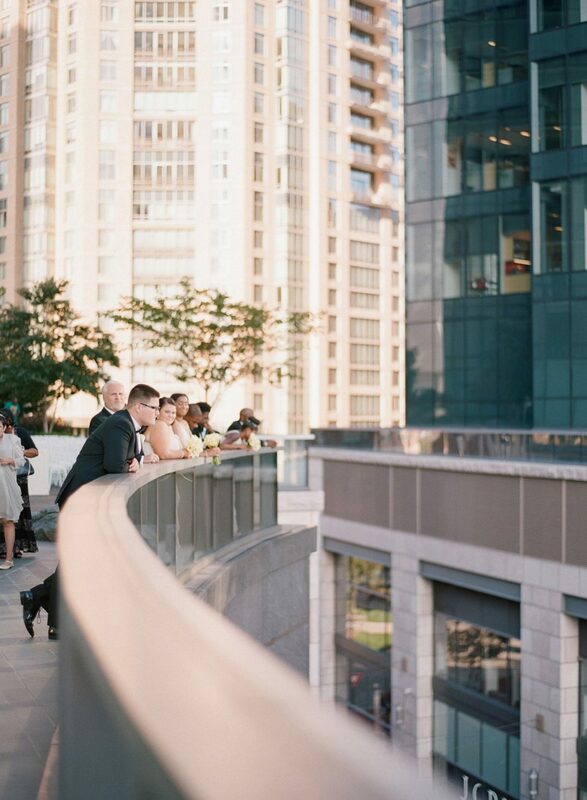 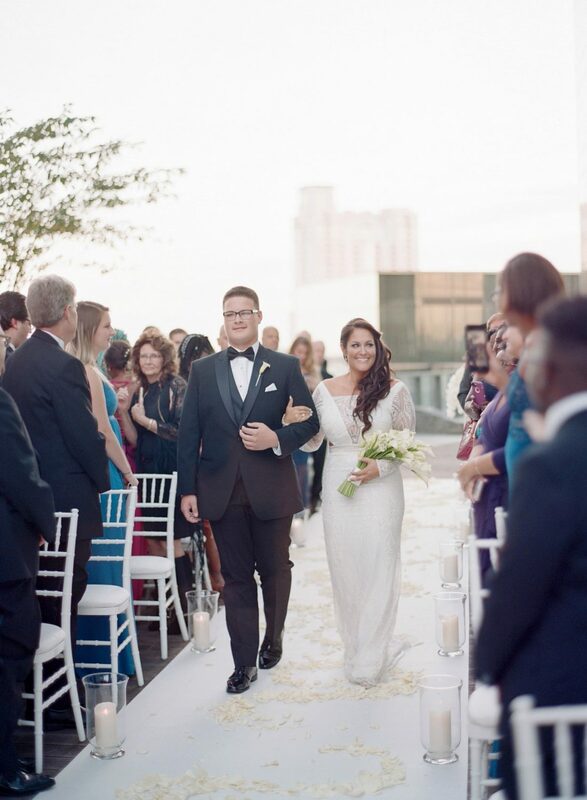 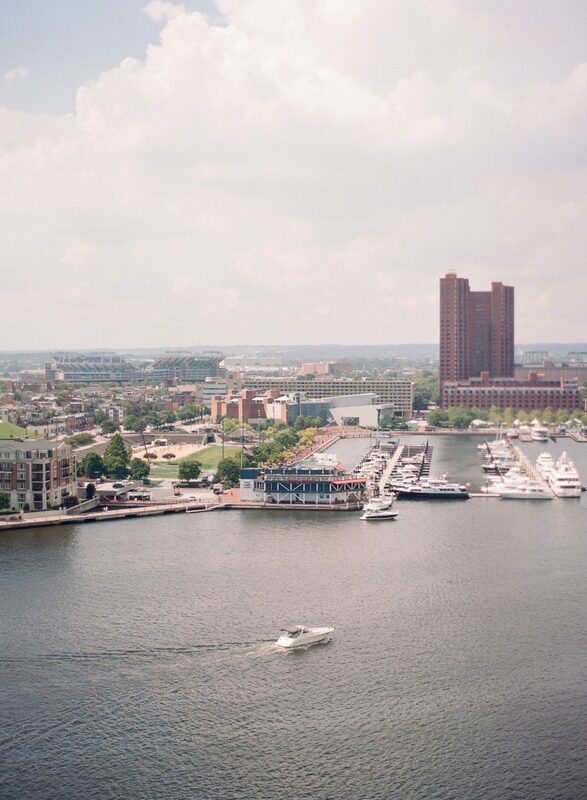 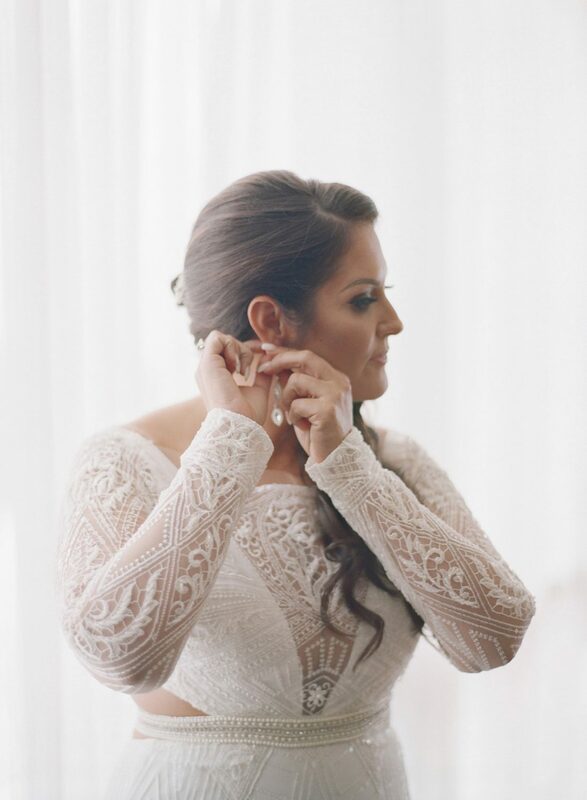 Elle from Elle Ellinghaus Designs took their wishes and made it a reality for their incredible September wedding at the Four Seasons Baltimore. 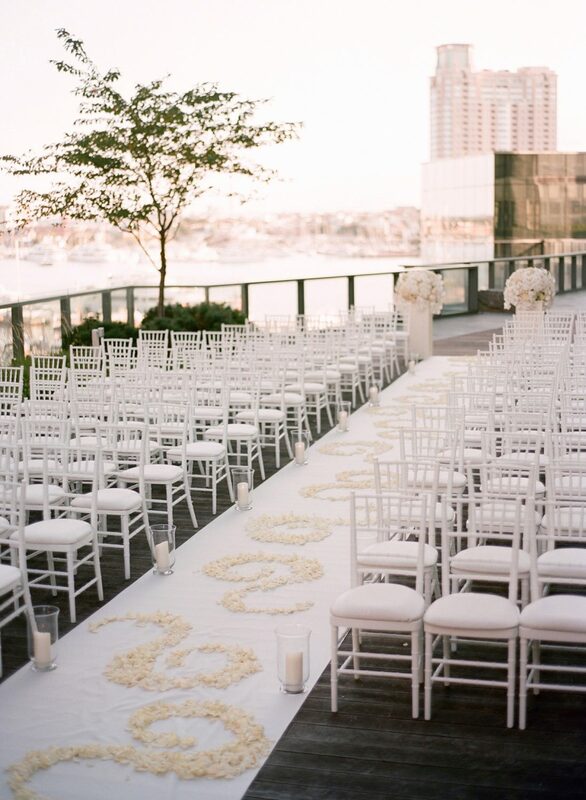 Beginning the day with a rooftop ceremony and portraits overlooking the harbor, their guests made their way into a ballroom full of incredible surprises at every turn. 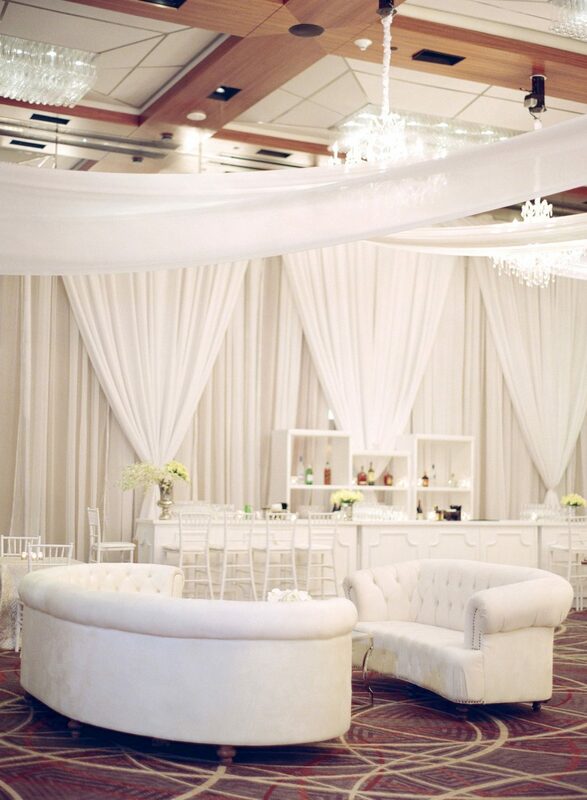 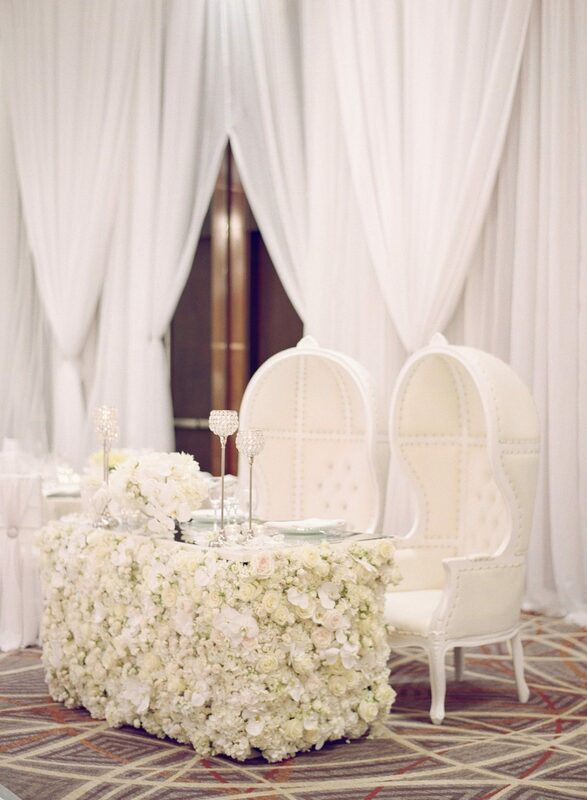 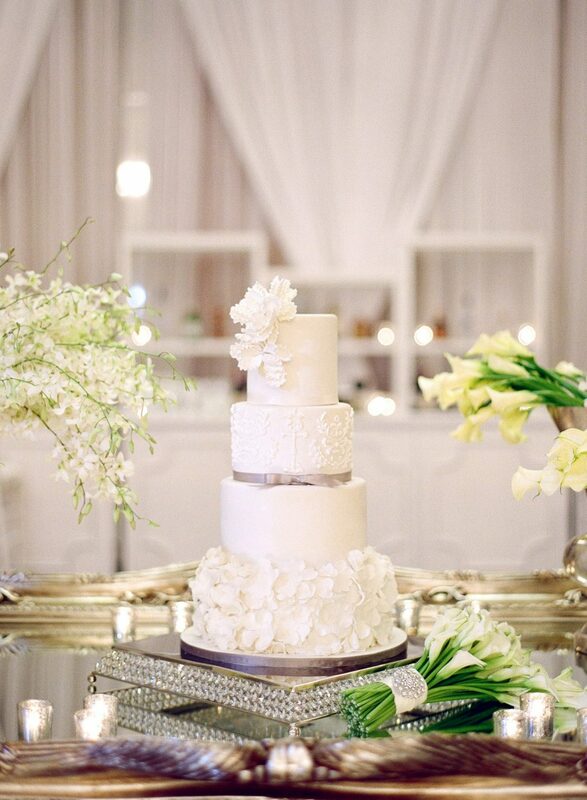 From an orchid-filled floral wall sweetheart table to the beautiful lounge area set up for guests to enjoy throughout the evening, the wedding day was truly magnificent and a perfect celebration to begin their marriage.